The rally was generally plagued by violence as factional party supporters clashed with security operatives struggling to contain the situation. 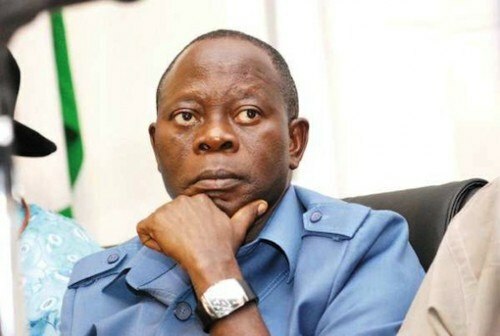 Oshiomhole's speech was brought to an abrupt end when a projectile was thrown towards him as the crowd chanted "Ole (Yoruba for 'thief') and "APC!". When Buhari came onstage, he curiously told the party's supporters to vote for whomever they like in the general elections. However, when he raised Abiodun's hand as a sign of endorsement moments later, the crowd became unsettled again.